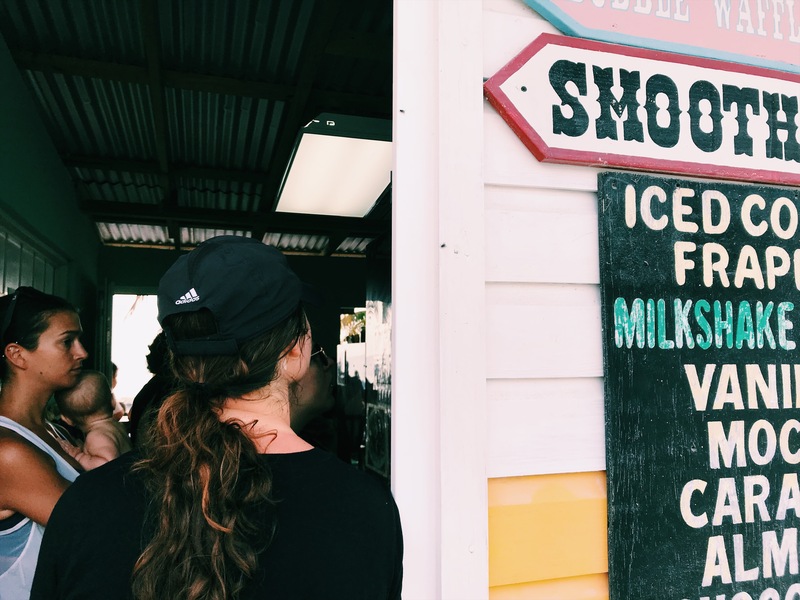 Caye Caulker: A tiny island, just five kilometres in length with no roads that’s situated just off the mainland in Belize, Central America, wasn’t a place that I expected to find a good coffee shop, yet Ice N Beans was just that. Despite its undeniably Caribbean culture I was pleasantly surprised to see that when it came to eating, it wasn’t all jerk chicken and there were a surprising amount of veggie, vegan and gluten-free cafes and restaurants with Ice N Beans by far being my favourite. With its early opening times, good coffee, gluten-free and veggie options this cafe has really tapped into what people want making it the go to place to chill on the island. With its location right on the beachfront of Caye Caulker there couldn’t be a more idealistic setting for a coffee shop. The entire vibe of this paradise like island invites you to chill but If you really have some work to do then the little balcony area in this cafe that overlooks the ocean is the perfect place to go and be productive and if that doesn’t scream ‘life/work balance’ then I don’t know what does. I don’t think anywhere on Caye Caulker could be described as fancy Ice N Beans is just another place that fits in to the chilled vibe of the island. The main building is essentially a wooden hut and this cafe is tiny inside but it has plenty of seats and benches out the front on the sand. Expect there to be a queue out the door, it’s a popular place but it’s well worth the wait. First and foremost Ice and Beans does great coffee. All their beans are organic and locally grown in Belize and they offer a huge range of hot, iced and blended coffee drinks. What sold it for me was the free hot donut that comes with every drink you order plus the multiple smoothie samples that I got handed while waiting in line: I had to start turning them down as there were so many. With its early opening time at six in the morning this cafe is a must go for breakfast. They have lots of healthy options including yoghurt bowls that you can build your own by choosing the type of yoghurt, fruit and topping you want. They also do incredible yoghurt smoothies and protein shakes: The peanut butter and banana one was heavenly. The cafe has a range of bagels on offer too: The Nutty Monkey with Nutella, banana and almonds was my favourite. Ice and beans mini donuts are also available to buy by the bag along with their iconic bubble waffles and rum balls. Caye Caulker is a really expensive island but Ice N Beans is one of the cheaper places with coffees costing around £2 and bagels from £3.